The Painted Lady Nectar Collection attracts gorgeous painted lady butterflies to your garden with a variety of pollen-rich and host plants that are necessary to their survival. This easy-to-grow collection features one biennial (Hollyhock) and four perennials (Liatris, Joe-Pye Weed, Ironweed and New England Aster) that offer up a source of food and habitat for painted lady butterflies. 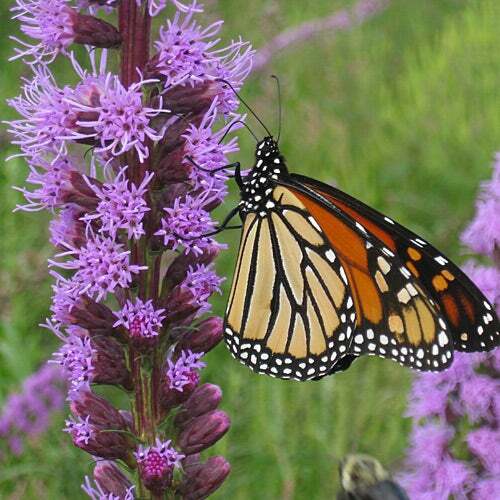 The Painted Lady Nectar Collection Nectar collection includes Hollyhocks, Liatris, Joe-Pye Weed, Ironweed and New England Aster to help attract, feed and provide breeding grounds for these gorgeous butterflies. 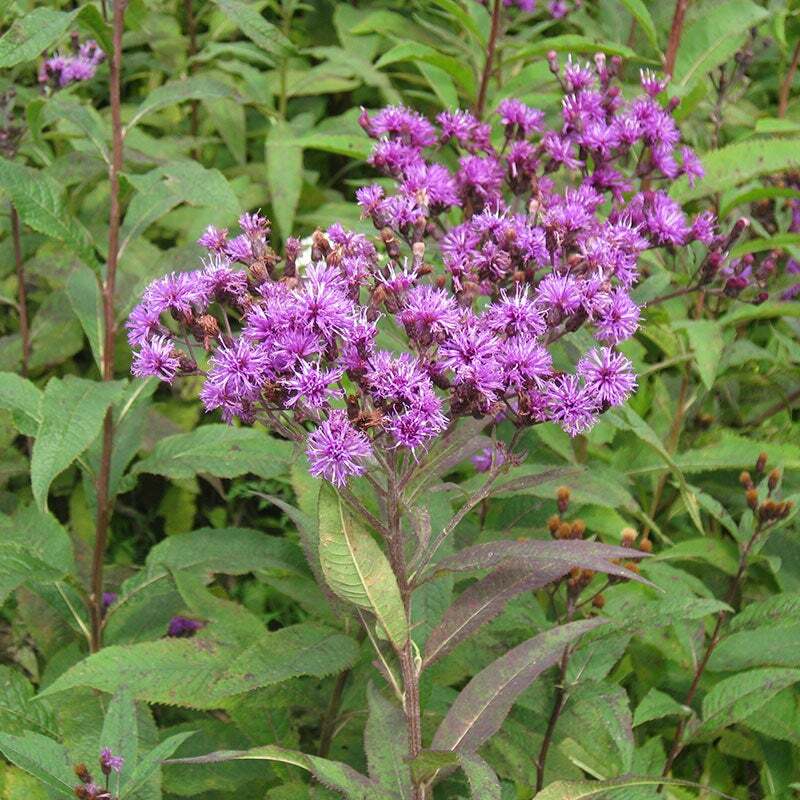 Native Ironweed blooms in mid to late summer and asks a host plant for painted ladies to lay their eggs. 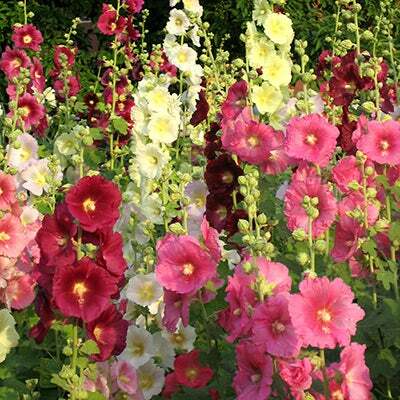 Hollyhock, a biennial, is a gorgeous blooming variety and also acts as a host plant for larvae. 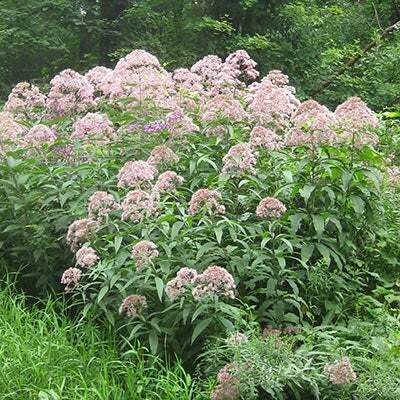 Native Joe-Pye Weed, Liatris, and New England Aster are nectar-rich food sources for painted ladies and bloom from summer into the fall. 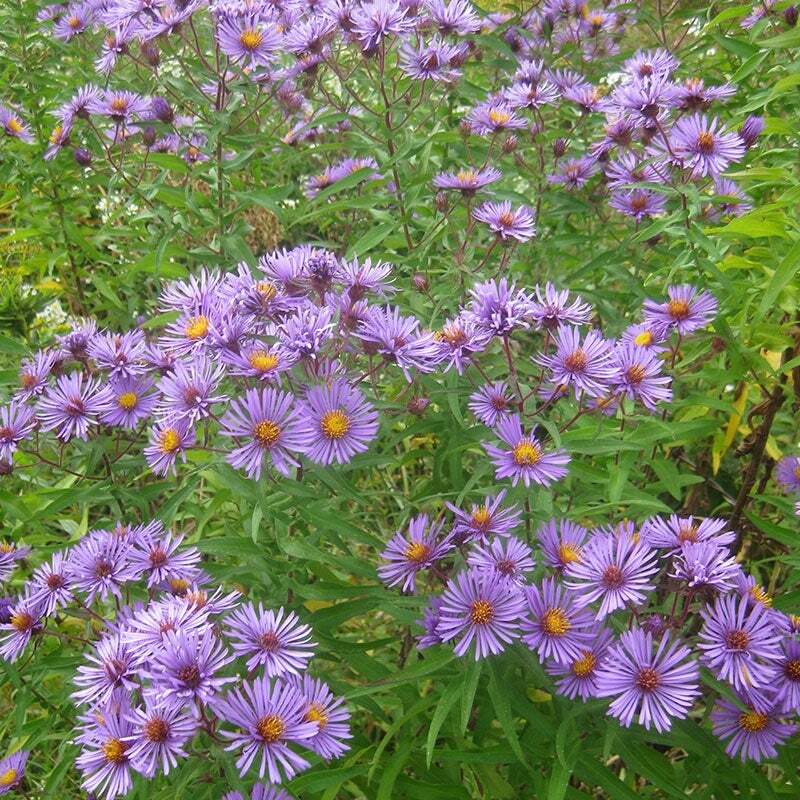 This long-lasting collection can be planted in the spring or the fall and starts blooming in the second season, providing a habitat for painted lady butterflies for years to come.